Long winding tracks. Water splashes. Rockfalls. Jumps. Deep, dark valleys. Trees. Huge boulders. You name it, 4X4 has it. 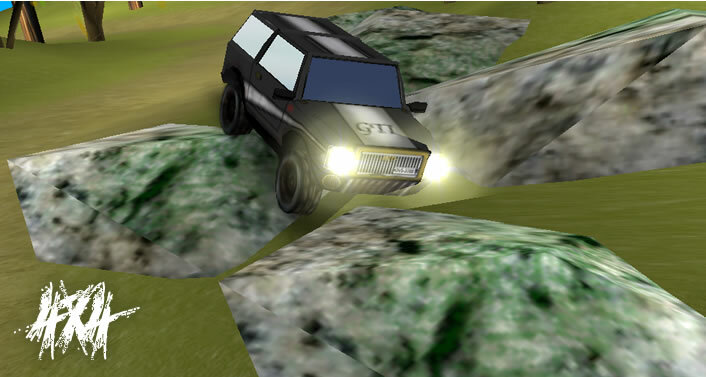 In this free, off-road racing game, you must drive your car carefully through four challenging enviroments in a race against the clock. Watch out for track hazzards, and make sure you get through the checkpoints in time, or it's back to the starting blocks. 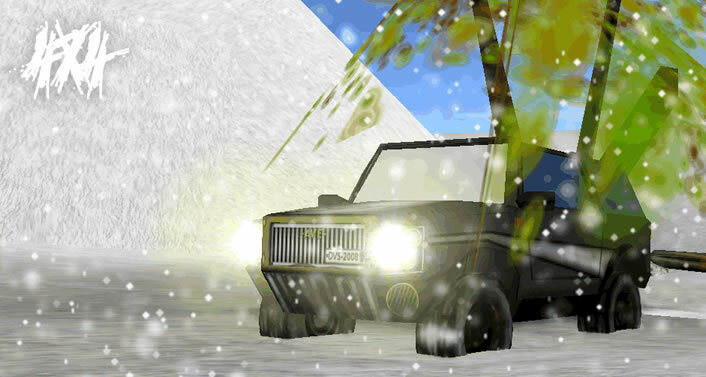 Can you navigate the blizzard, the desert, the water jumps and the forest? The game is currently only available in .exe form (For windows 98/2K/ME/XP/Vista), I'm working on getting runtime versions available for other operating systems soon. There is an installer, and the game will immediatley be available to play from Start → Programs → Dusky Dolphin Media → 4X4. Get the file (4X4_Setup.exe) from MediaFire now! Take a look at some screenshots and videos from the game, and then go download and play for yourself! View the origional YouTube video, rate and leave comments! 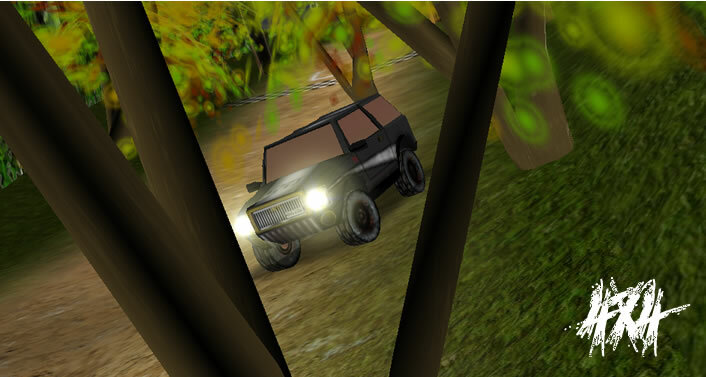 4X4 is a 3D checkpoint racing off-road game made by Alex Cowley using Blender 3D and it's Game Engine. 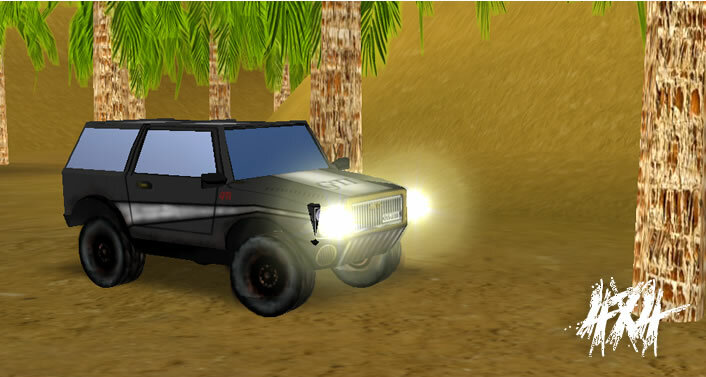 Samuli Jomppanen, a fellow blender artist from Aeon Visuals, modelled the jeep and made it's various textures, while I modelled and textured the landscape and the tracks, as well as creating the visual effects and programming the actual game. The game took 6 or 7 months to complete in my spare time.